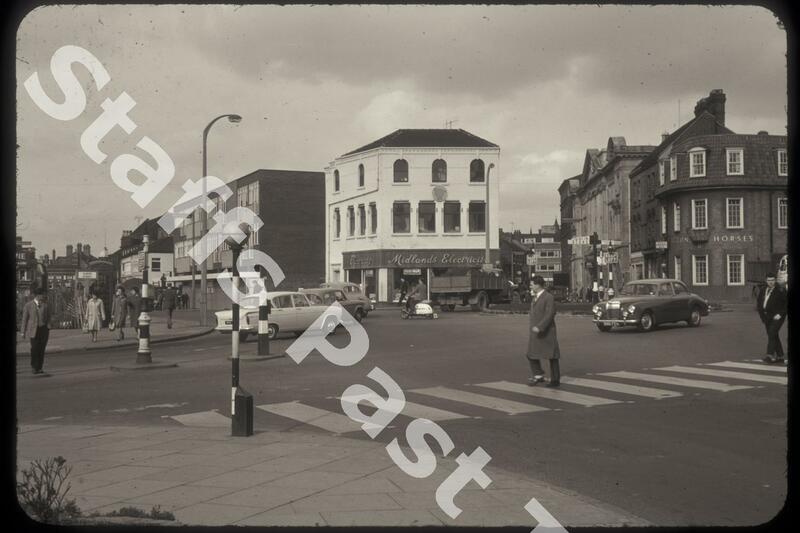 Description:This photograph was taken from the northern end of Lichfield Street looking across Albion Square towards Stafford Street (left) and Tontine Street (right). Albion Street is going the left edge. Pedestrianisation has changed the volume of traffic but the surrounding buildings have remained much the same although with different uses. 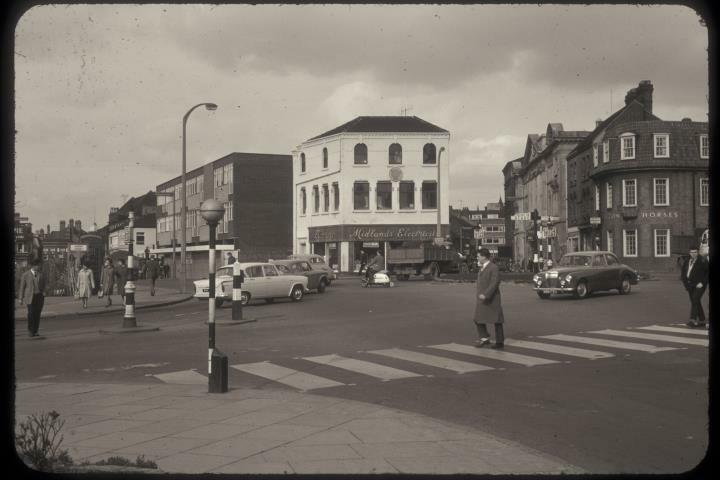 Albion Square roundabout was a major traffic junction. The Midlands Electricity showroom building in the centre was there before 1900. The facade is largely unchanged. The Waggon and Horses public house on the corner of Tontine Street and Old Hall Street (off the right edge) has been renamed on several occasions. Further down Tontine Street is the former Hanley Post Office building, opened in 1906, closed in 2007 but a grade II listed building. Just off the right hand edge the C&A store was under construction on Stafford Street.